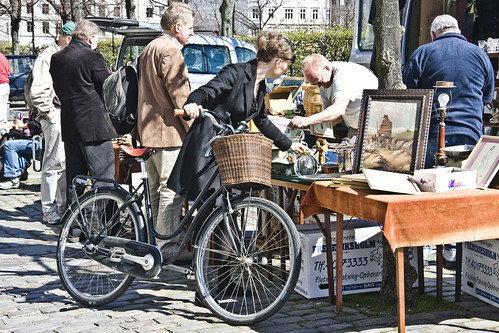 While a cargo bike race raged in the background, many people were content to potter about the flea market on the square. Nothing quite as relaxing as pottering about a flea market. 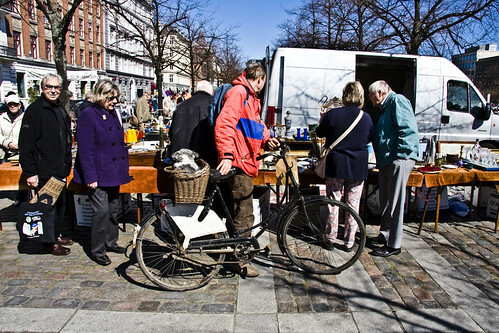 Getting to the flea market involves, quelle surpris alors, a bicycle. And you're always welcome to bring your dog along in your basket. 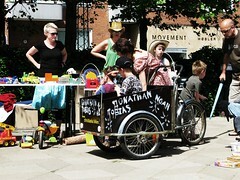 In another spot of cargo bikeness, The Guardian has an article about that very Danish icon, the Christiania Bike. You'll often see them here on Cycle Chic. 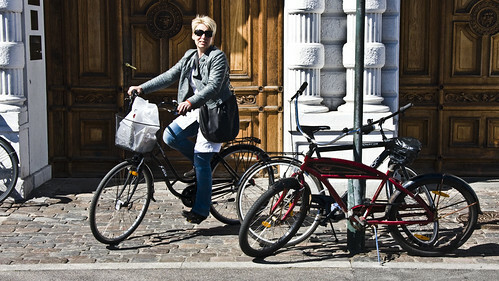 The Copenhagen version of the SUV and the choice of supermums across the city. Mikael! Elizabeth can not send you the answer to your inbox (copenhagencyclechic@gmail.com). Do you have any other mailbox?